Once you realize how simple this trick is you will kick yourself. Many people do not realize that this trick is one of the most common tricks in a Magicians toolbox. We all know it is not possible to send anything through solid glass so you always have to watch the Magicians Hands to try to work out exactly what is going on. This trick requires a powerful magnetic ring that has enough strength to hold a second bottle cap in place inside the bottle as you trick your audience into thinking there is only one bottle cap. Watch the reveal video to learn more. 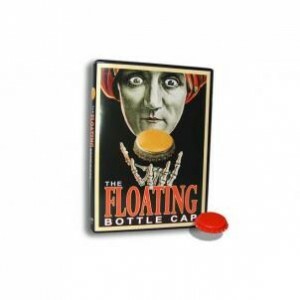 Can you Make a Bottle Cap Float?